Imagine a world where not only could animals speak and live as humans, some of them even had super powers. 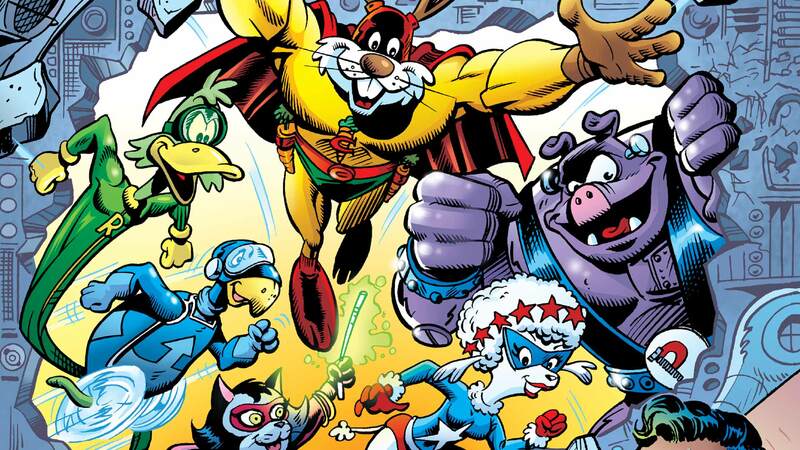 Now you’re imagining Earth-26, home to Captain Carrot and his Amazing Zoo Crew. Originally discovered by Superman, the heroes of this world were inspired by the Man of Steel to fight for truth and justice. For many years it was thought that this Earth was destroyed in a Crisis event, but the incredible physics of this world allowed it to bounce (and bounce and bounce) back better than ever. Heroes like Pig-Iron, Alley-Kat-Abra, Yankee Poodle, Fastback and American Eagle take on threats like the villainous Salamandroid. Captain Carrot and the Amazing Zoo Crew even teamed up with the heroes of Earth-0 to take down the power-mad Monitor who called himself Mandrakk. In time, their powers grew and their crusade against evil continues.